On February 11, 2018, Avalon GloboCare Corp. (NASDAQ:AVCO) (NASDAQ listed Avalon GloboCare AVCO), a leading global developer of cell-based technologies and therapeutics headquartered in New Jersey, announced that its ongoing co-development program with Weill Cornell Medicine, led by Yen-Michael Hsu, MD, PhD, Director of cGMP Cellular Therapy Facility and Laboratory for Advanced Cellular Engineering, has identified novel human angiogenic exosomes/extracellular cellular vesicles (EV) derived from endothelial cells. 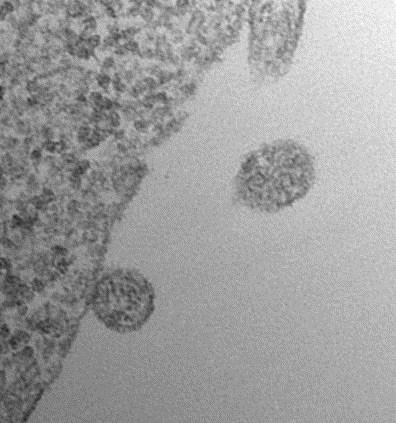 These angiogenic exosomes contain angiogenic factors developed to promote new blood vessel formation and tissue regeneration upon release from exosomes. A podium presentation titled “Novel Angiogenic Extracellular Vesicles Induced by StemReginin1” will be presented by Dr. Hsu at the upcoming Annual ISEV Meeting 2019 in Kyoto, Japan (April 24-April 28) (https://www.isev.org/page/ISEV2019). “Identification and isolation of tissue-specific exosomes is considered by many as the ‘Holy Grail’ in this area,” stated David Jin, MD, CEO, and President of Avalon GloboCare. “This discovery is essential for future development of endothelial cell-derived angiogenic exosomes in treating ischemic vascular diseases, as well as contribution to tissue and organ regeneration,” added Dr. Jin. Avalon GloboCare Corp. (NASDAQ: AVCO) is a global intelligent biotech developer and healthcare service provider dedicated to advancing cell-based technologies and therapeutics, with a focus on developing and empowering innovative and transformative cell-based technologies and their clinical applications. In addition, Avalon provides strategic advisory and outsourcing services to facilitate and enhance its clients' growth, development, as well as competitiveness in both the domestic and global healthcare markets. On Tueday, February 12, 2019, 8.00 am to 9.30 am EST in New York City, NeurExo Sciences (NXS), LLC, a biopharmaceutical company and subsidiary of NeuroTrauma Sciences, LLC, will be hosting a teach-in event “Enriched Exosomes, a Novel Therapeutic Approach,” featuring leading exosome researcher, Michael Chopp, PhD, Vice Chairman, Department of Neurology and Scientific Director, Neurosciences Institute, Zoltan J. Kovacs Chair of Neuroscience Research at Henry Ford Health System (HFHS), Detroit, and Distinguished Professor of Physics, Oakland University (MI). The teach-in will take place at the New York Marriott Marquis, Manhattan Ballroom, 8th floor, 1535 Broadway, New York 10036, with breakfast opening at 7.30 am. This event is intended for institutional investors, sell-side analysts, investment bankers, and business development professionals. Please RSVP in advance if you are interested in attending, as space is limited. You may RSVP with Susan Pietropaolo at 201-923-2049 (susan@smpcommunications/20190212). The teach-in will also be webcast (http://media.rampard.com/20190212) and registration for the webcast is now open. The live webcast and replay will be available through the link above or at the NeuroTrauma Sciences website, www.neurotraumasciences.com. Dr. Chopp's presentation will provide a primer and overview of exosomes, small extracellular vesicles that provide a means of mediating intercellular communication. He will also focus on his team's pioneering technology employing exosomes engineered with enriched microRNA for the purpose of treating neurological disease and injury, including stroke and traumatic brain injury (TBI). Dr.
An unexpected finding in pre-clinical platelet studies by Baker Institute researchers in Melbourne, Australia, could provide a novel approach to targeting and destroying difficult-to-treat cancer cells, providing new therapeutic options for a range of cancers. This latest finding, published in the journal Theranostics, was discovered while studying activated platelets in the setting of heart disease and may now prove useful for delivering targeted treatment to cancer cells without major side effects. Early detection of cancer is crucial for successful therapy. However, some cancer types do not have specific cancer surface markers that can be used to detect them and even the same cancer type can exhibit different properties in different patients. Professor Karlheinz Peter, Deputy Director, Basic and Translational Science at the Baker Heart and Diabetes Institute has been working for many years with platelets, which are small blood cells in the circulation that mainly promote blood clotting (for example, platelets are the main perpetrator of a heart attack) and prevent us from bleeding when we are injured. In his recent experiments, he observed that platelets and more specifically, "activated platelets" accumulate in the area surrounding a wide range at tumor types. Based on this observation, Professor Peter's team has now developed a new imaging and platelet targeting chemotherapy agent for the early detection and treatment of cancers. "We have shown that we can image activated platelets to detect tumors with clinically available imaging technologies such as ultrasound and PET/CT," he said. "This unique approach holds great promise both for the diagnosis and therapy of a broad range of tumors. 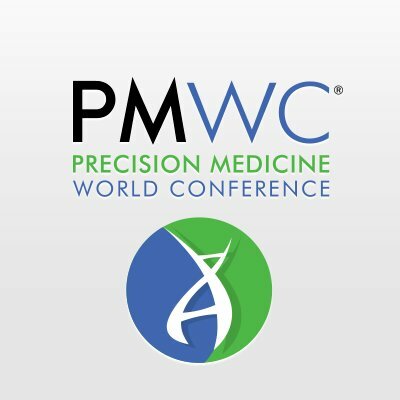 Immunotherapy was a major theme of the Precision Medicine World Conference (PMWC 2019) at Santa Clara, California, this January 21-23 and on the second day of the three-day main conference, Lingbing Zhang, PhD, Founder & CEO of Yinuoke Limited, a clinical-stage biotech company, gave an especially interesting presentation in which he described his company’s efforts to combat problems typically encountered in the late stages of cancer, namely tumor-induced immune disorder (TID) and cachexia, termed “The Last Illness” in a Nature article (https://www.nature.com/news/cachexia-the-last-illness-1.18961). Dr. Zhang’s presentation focused on three major points: TID can bring massive damage to the host; TID impacts efficacy of immune checkpoint inhibitors; and a new direction to develop cancer treatment can pursued by targeting TID. Dr. Zhang founded Yinuoke, Ltd., in 2016 with the specific purpose of discovering and developing innovative cancer treatments by targeting TID. Dr. Zhang believes that Yinuoke is the first company to develop new cancer treatments by targeting TID. The new term “tumor-induced immune disorder (TID)” was first proposed by Yinuoke, because the company believes this term more accurately describes the immune status of cancer patients at the late stage of disease. If you look at the blood of patients with late -stage cancer, you will always see severely imbalanced immune cell populations, such as high neutrophils and low lymphocytes, Dr. Zhang asserts, and you will see multiple dramatically elevated cytokines. Pathway for Bacterial Synthesis of Streptozotocin Revealed; Antibiotic Also Treatment for Pancreatic Cancer; Molecule’s Reactive “Warhead” Is Nitrosamine; Nitrosamine Reaction “Has Very Limited, If Any, Precedent in Biological or Synthetic Chemistry"
For decades, scientists and doctors have known that bacteria in soil were capable of manufacturing streptozotocin, an antibiotic compound that is also an important treatment for certain types of pancreatic cancer. What was less clear, however, was exactly how bacteria managed to do it. Led by Dr. Emily Balskus, Professor of Chemistry and Chemical Biology at Harvard University, a team of researchers has untangled that process, showing for the first time that the compound is produced through an enzymatic pathway and revealing the novel chemistry that drives the process. The study is described in an article published online on February 6, 2019 in Nature. The article is titled “An N-Nitrosating Metalloenzyme Constructs the Pharmacophore of Streptozotocin.” What makes the molecule such an effective anti-cancer agent, is a chemical structure known as a nitrosamine - what Dr. Balskus called the molecule's reactive "warhead." Known to be highly reactive, nitrosamines have been shown to be toxic in a host of other compounds, and are most commonly known outside of cancer treatment as a carcinogens found in everything from tobacco to cured meats. "This chemical motif has a great deal of biological relevance, and has been investigated thoroughly," Dr. Balskus said. "Until our work, the view of how this chemical motif was generated in biological systems involved non-enzymatic chemistry - it was just something that occurred under the right conditions." Dr. Balskus and colleagues, however, suspected the story may be more complex, and set out to explore whether bacteria evolved a natural pathway to produce nitrosamine compounds. "That's what we found in this paper," she explained. Janice Blake was depressed and psychotic. She saw imaginary people in her food and wouldn’t eat. She believed an imposter was posing as her brother. She was on the brink of committing suicide, a hopeless woman spiraling into the depths of her mental illness after the medications that had helped her cope for 26 years could no longer keep her sane. Mrs. Blake’s family then offered her a choice in hopes of saving her life: get placed in a long-term mental health facility or undergo electroconvulsive therapy (ECT) at UT Southwestern’s Peter O’Donnell Jr. Brain Institute. “I was afraid to try ECT,” said Mrs. Blake, 65, whose perception of the treatment involved patients being painfully shocked with electricity. Yet Mrs. Blake reluctantly agreed, and quickly discovered ECT was nothing like the disturbing Hollywood depictions she had seen. After only a few treatments, her paranoia and depression dissipated, restoring the rational, smiling person her family feared would never return. “It did save my life,” Mrs. Blake said. “It just brought me back to who I was a long time ago. Fun-loving, happy, and outgoing.” Although the therapy can improve severe depression, ECT has been associated with temporary memory loss – a side effect that has contributed to its stigma and pushed UT Southwestern to test a new form of brain stimulation that may entice other patients to seek help.The National Institute of Mental Health (NIMH) is funding a five-year clinical trial that expands on preliminary research indicating that an alternative brain stimulation method involving magnetic fields can ease depression without cognitive side effects. If proven effective, magnetic seizure therapy (MST) could usher in a new era of depression treatment that turns these therapies from a desperate last resort to an accepted, frontline option for severely depressed patients. Fasting may help people lose weight, but new research suggests going without food may also boost human metabolic activity, generate antioxidants, and help reverse some effects of aging. Scientists at the Okinawa Institute of Science and Technology Graduate University (OIST) and Kyoto University identified 30 previously-unreported substances whose quantity increases during fasting and indicate a variety of health benefits. “We have been researching aging and metabolism for many years and decided to search for unknown health effects in human fasting,” said Dr. Takayuki Teruya, first author of the paper and a technician in the OIST G0 Cell Unit, led by Professor Mitsuhiro Yanagida. “Contrary to the original expectation, it turned out that fasting induced metabolic activation rather actively.” The new study, published online on January 29, 2019 in Scientific Reports, presents an analysis of whole human blood, plasma, and red blood cells drawn from four fasting individuals. The researchers monitored changing levels of metabolites -- substances formed during the chemical processes that provide organisms energy and allow them to grow. The results revealed 44 metabolites, including 30 that were previously unrecognized, that increased universally among subjects between 1.5- to 60-fold within just 58 hours of fasting. The open-access article is titled “Diverse Metabolic Reactions Activated During 58-Hr Fasting Are Revealed by Non-Targeted Metabolomic Analysis of Human Blood.” In previous research, the G0 Cell Unit had identified various metabolites whose quantities decline with age, including three known as leucine, isoleucine, and ophthalmic acid. 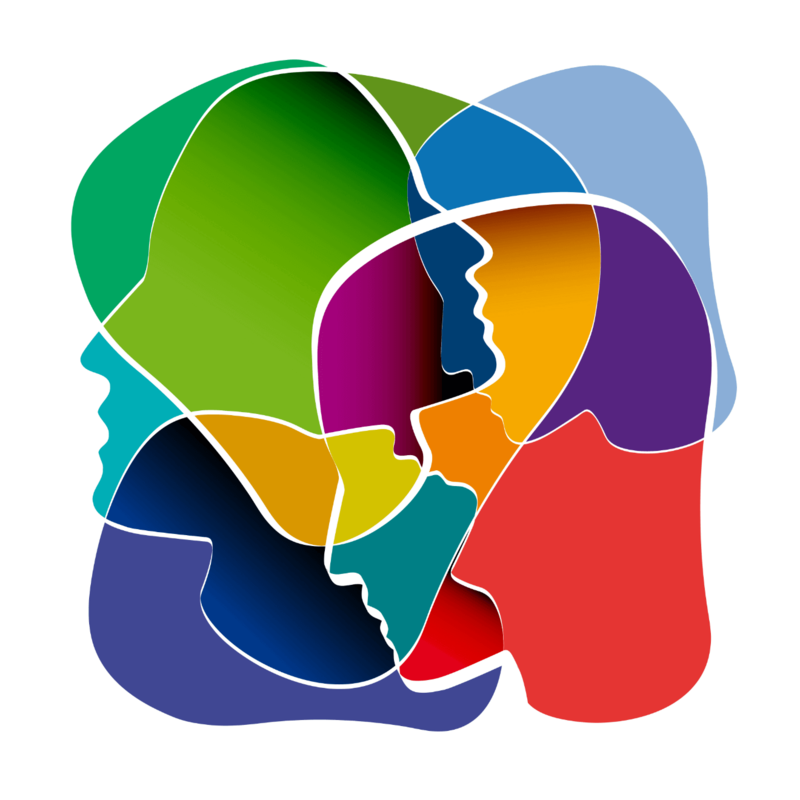 Schizophrenia is a chronic and disabling mental illness that affects more than three million Americans. Anti-psychotic medication can control schizophrenia’s psychotic symptoms, including the hallucinations and delusions that are well-known hallmarks of the disease. However, there are no effective treatments for the disease’s ‘negative symptoms’ – so-called because they involve a loss of normal function. The negative symptoms of schizophrenia include an inability to feel pleasure, a lack of motivation, and difficulty with non-verbal communication. These symptoms can seriously impact patients’ employment prospects, housing, relationships, and overall quality of life. In a first-of-its-kind study, researchers at Beth Israel Deaconess Medical Center (BIDMC) in Boston used imaging data to determine the underlying anatomical cause of schizophrenia’s negative symptoms and then applied non-invasive brain stimulation to ameliorate them. The scientists found, as they reported in an article published online on January 30, 2019 in the American Journal of Psychiatry, that these symptoms arise from a breakdown in a network between the brain’s prefrontal cortex and the cerebellum. Moreover, the team demonstrated that a novel type of non-invasive brain stimulation restored this crucial network’s function, which in turn improved schizophrenia’s most debilitating and treatment-resistant symptoms in patients with the disease. On January 30, 2019, Beckman Coulter Life Sciences announced its acquisition of Labcyte, a privately held, acoustic liquid handling company based in San Jose, California. Labcyte is best known for its Echo® acoustic droplet ejection technology, which uses sound waves to transfer tiny amounts of liquid with unequalled speed and accuracy. This technology—the centerpiece of Labcyte's Echo Liquid Handlers—enables walkaway convenience and integration capabilities. Labcyte technology enables faster and more cost-effective laboratory workflows in applications such as drug discovery and genomics. "Labcyte's unique product portfolio complements our existing liquid handling and laboratory automation business. It provides new opportunities to develop and enhance time-saving solutions for customer workflows," said Jonathan Pratt, President, Beckman Coulter Life Sciences. "Labcyte and Beckman Coulter Life Sciences share a common vision of advancing science through discovery, enabling the faster discovery and development of life-changing advances in medicine. Together we will make a powerful team, and an invaluable resource for current and future customers around the world." "It has been an exciting journey—from developing acoustic liquid-dispensing technology in a garage to establishing a global presence, and now to be joining forces with a life sciences technology leader," said Richard Ellson, CTO and a Founder of Labcyte. 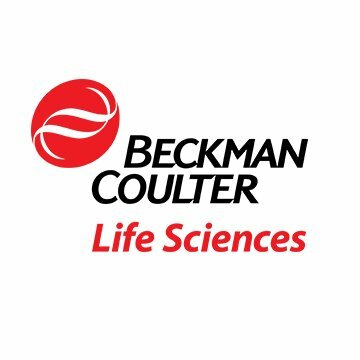 "Acoustic liquid handling is quickly becoming the backbone for high-throughput, automated workflows, and we look forward to accelerating growth and innovation as part of the Beckman Coulter Life Sciences team." Labcyte will transition into Beckman Coulter Life Sciences under the larger Danaher Life Sciences platform of companies, which generates approximately $6.5 billion in annual revenue.